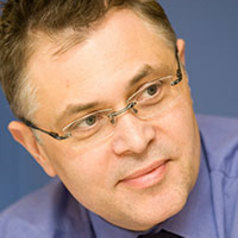 Jamie Turner is Professor of Engines and Energy Systems and is a member of the Powertrain and Vehicle Research Centre. He studied Mechanical Engineering at City University London and later did his PhD at Loughborough University while at Lotus Engineering. On obtaining his MEng he worked for Norton Motorcycles on Wankel rotary engines, then completed a first stint at Lotus including research on 2-stroke engines, then Cosworth Engineering in F1 and IndyCar racing, the latter triggering a life-long interest in alcohol fuels. He then returned to Lotus, where over 21 years there culminated in 10 years leading the Powertrain Research Group. As well as being a specialist in pressure-charged engines, he investigated many novel concepts during this period, including variable compression ratio 2-stroke engines, Brayton cycle engines, gas turbine/fuel cell hybrids and decarbonised fuel synthesis and blending. Latterly he spent two years leading spark-ignition engine research at Jaguar Land Rover, during which time he was also a Visiting Professor at the University of Bath, before moving to join the University full time in January 2015. As a recent transfer to academia, Jamie’s research has to date been conducted within industry and thus has had to have relevance to the sector, either in the short term or more for knowledge-gathering and direction-setting. Much of it has been collaborative with academic and industrial partners, or has been cross-sectorial, for instance in the area of future fuel formulations with energy providers. He has nearly 40 patent awards or applications to his name. He has been instrumental in several very successful government-funded projects, including Ultraboost, the testing for which was entirely conducted at the University, and which demonstrated the very high CO2-reduction potential of extreme engine downsizing. He believes that there is considerable further potential in downsizing as a cost-effective CO2-reduction technology, particularly when combined with increasing alcohol content in fuels. In this context, the production of ethanol and methanol via CO2-reduction pathways is one of his chief interests. Gas turbines, with or without their combination with fuel cells, are one area of interest for him for low-carbon transportation in the future, as well as the use of flywheels for kinetic energy recuperation and duty-cycle smoothing in vehicles fitted with range extenders favouring steady-state operation.